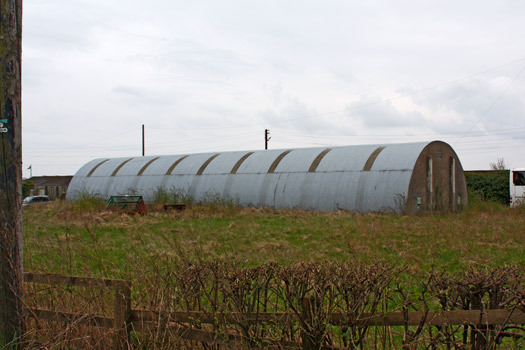 RAF Dalton started life as a grass satellite airfield to become a full 'A' Class WW2 bomber station. 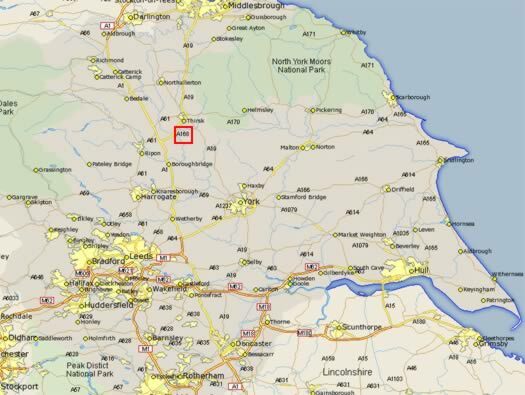 RAF Dalton to the east of the A1(M) exit junction 49 for Thirsk. 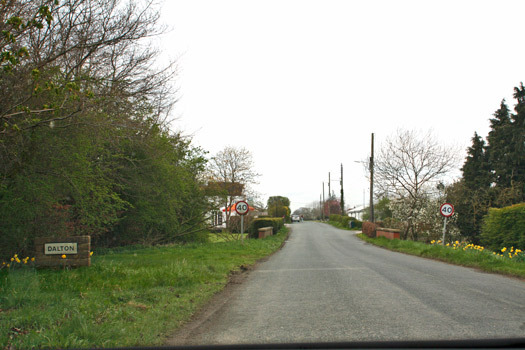 Turn off the A168 at the Topcliffe bypass for Dalton. I came in from the east A19, on minor roads over the main line railway. I started in the east at the two red arrows. TheÂ yellow squares are where I visited & theÂ red squares sites I did not. TheÂ yellow line is the route I took,Â greenÂ line the original airfield perimeter. The Â blue line the enlarged peri track. TheÂ redline the perimeter of the steel factory. 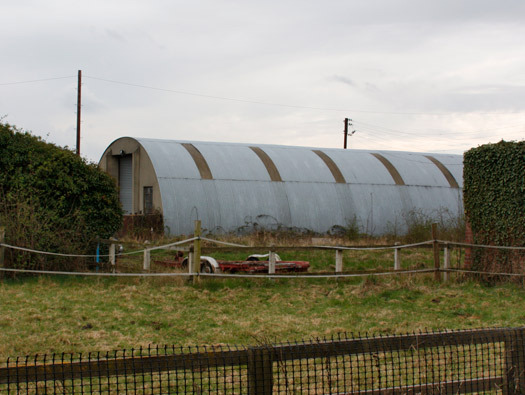 2 x T2 hangars (extant). How the control tower may have looked. 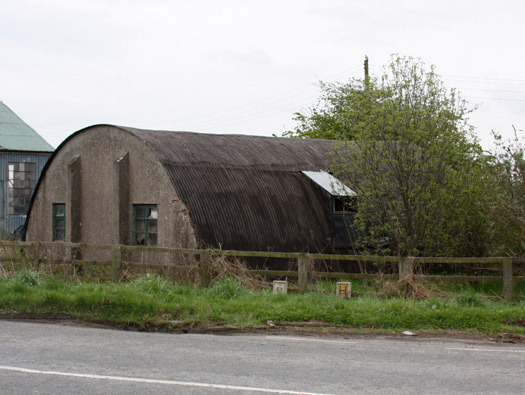 History : Air Ministry surveyors early in the war were looking for dispersal airfields and they found a flat field here and RAF Dalton opened in November 1941 with a few buildings, a bomb store and grass runways..
Front entrance of this Stanton style shelter. On several of these plinths, broken glass is set into the cement around the top of the wall to stop anybody entering. The glass can be beer bottles, clear and in this case frosted glass the sort used in toilet windows. A plan of the site with a red square where an M&E plinth still survives. 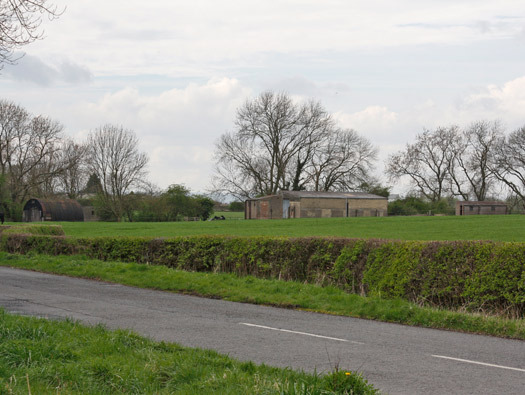 History - The first occupants were 102 Squadron, one of the original Yorkshire bomber units. 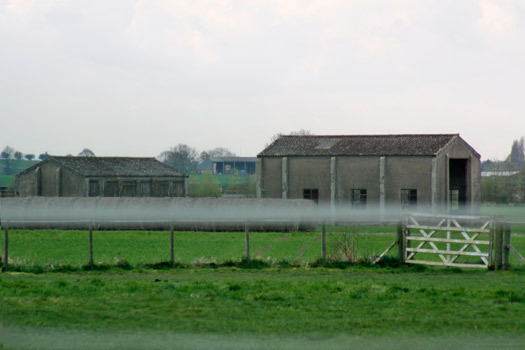 They moved in from nearby RAF Topcliffe pre war expansion airfield with their Whitley's and were quickly in action from the new airfield, providing aircraft for an attack on Emden on the night of 30th November 1941. 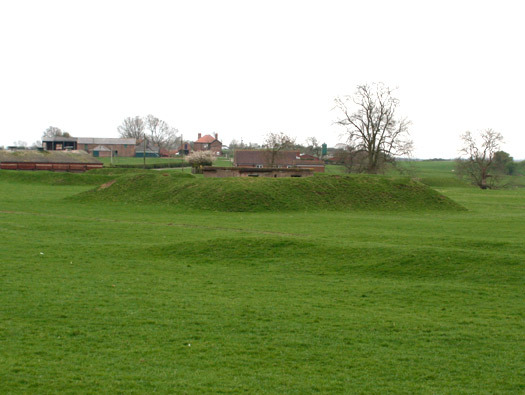 Set out in the fields to the north of the last site is another with several buildings. 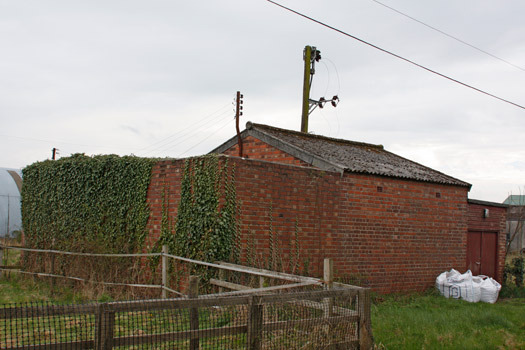 I did not manage to get out there but a latrine block, Nissen hut & what looks like a picket post. A picket post from another airfield. 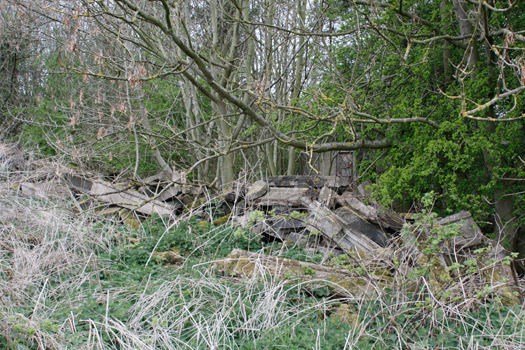 There are several hut bases and in the woods it looks as though there are more huts preserved?. 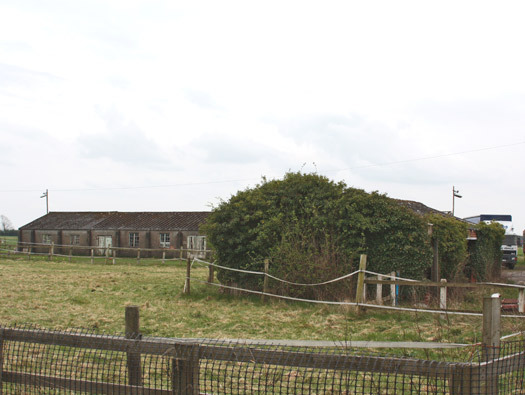 The red square is a Nissen hut and the yellow circle an air-raid shelter. History - Another raid was on Dunkirk in December 1941. A roadway built for war to carry airmen to their huts in the wood. AÂ - one Orlit and a double fuel store. 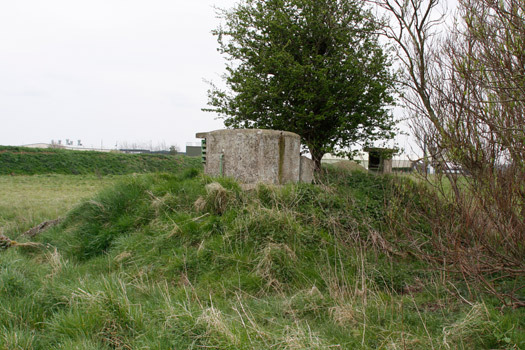 B - one standing Orlit & an air-raid shelter. 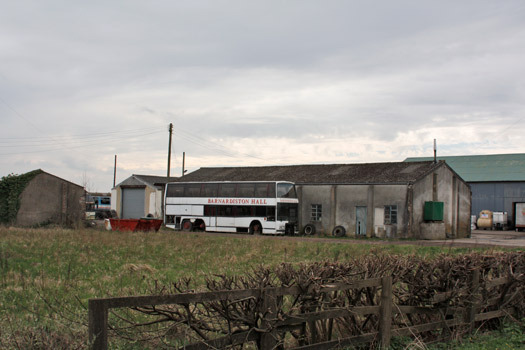 C - now built on but was part of the domestic accommodation. Foot scraper on the site of 'C'. 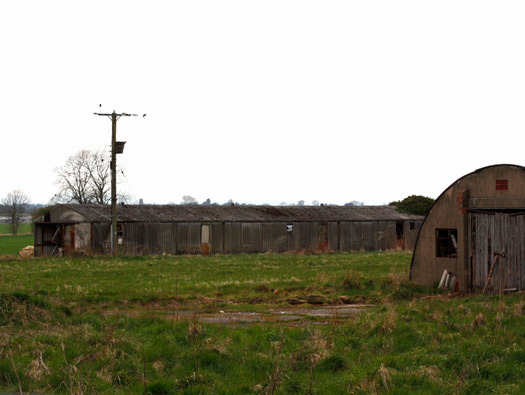 Airfields were noted for their mud so many huts had foot scrappers. 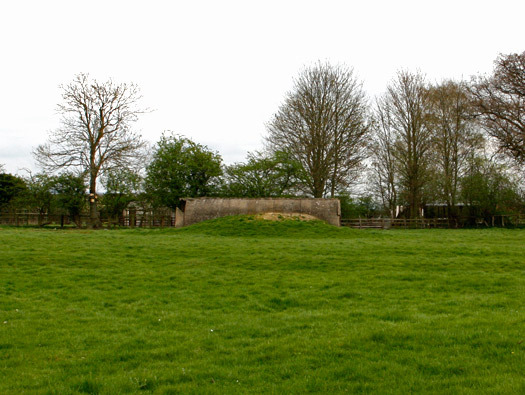 Fuel compound and 'A' One Orlit Hut & Site of some others. 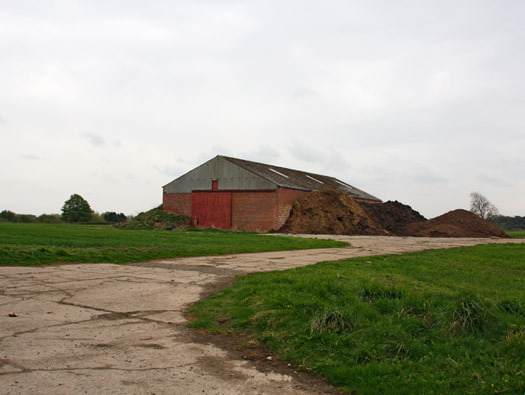 The pile of dung is sat on the top of a fuel compound for coal/coke to use in their pot bellied stoves. Plan of fuel compound 9108/41..
Gate into a fuel compound. We are now inside the woodland at 'B'. Lots of open drains in the woods mind your footing. The view inside with a small room at the bottom, Orlit's were built out of concrete to save on wood which by the end of WW2 was getting very scarce. There are many hut bases in this wood. (I presume) the Corporals room. This hut was very hard to photograph inside as it has a lot of wire mesh bird pens. History - Another Whitley attack was Brest. Then they converted to Halifaxes. A plan of the three runways and the three hangars. Another Picket Post in the distance. History - January 1942 converting to Halifax's, 102sqn left and 79 & 78 Sqn conversion flights joined 1652 HCU. [Heavy Conversion Unit] these were used to convert pilots from twin engined trainers to heavy bombers. History - Closed in August 1942 and the construction workers moved in. 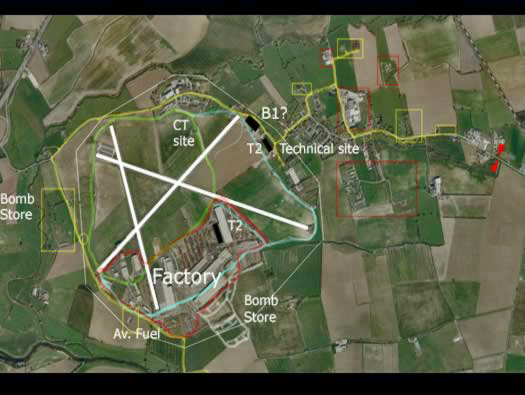 Three runways were laid, a perimeter track and a complete dispersed accommodation in hutted camps and a large bomb store. Royal Canadian Air Force Wellington and crew. 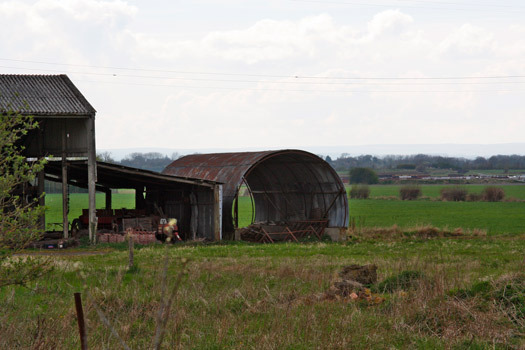 Another long shot across the fields to a Nissen hut in a back garden. History - Dalton re opened in November 1942 with the RCAF with Wellington bombers. 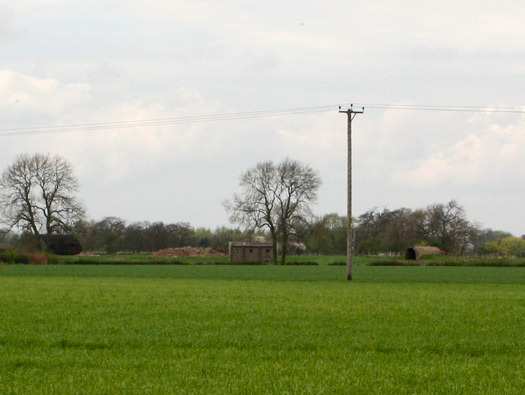 Another large domestic site with several huts and good road system. 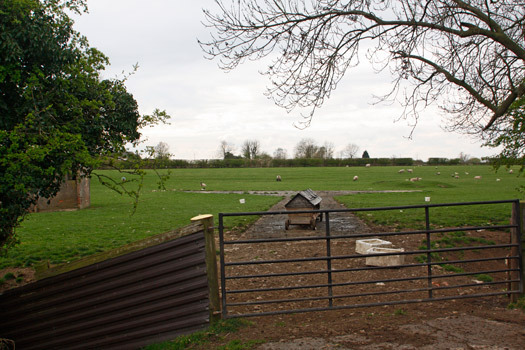 The road way in with a Nissen hut, several latrines and a picket post. 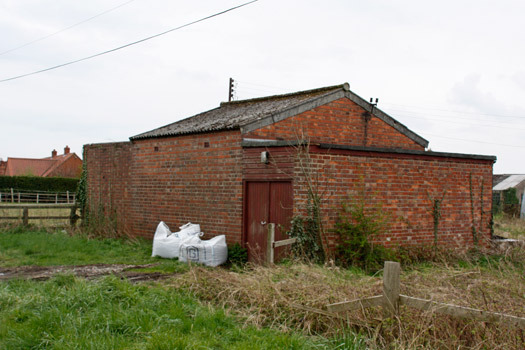 One end has a filling of wood and tarpaper covering and two large doors and the other is bricked up and rendered. 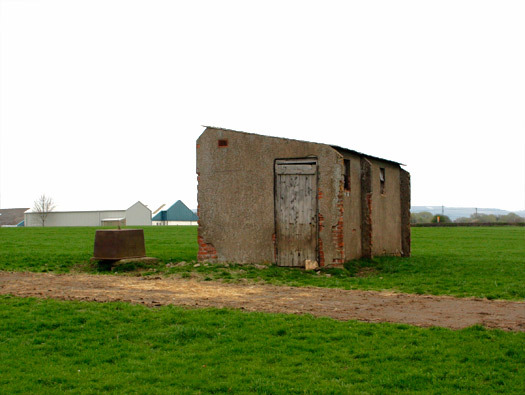 Of all buildings left over from airfields in WW2, the latrine block must be the most. They seem to be the one building that when all the others were being removed the workmen left them as a place to have a wee. I have superimposed what it would have looked like. 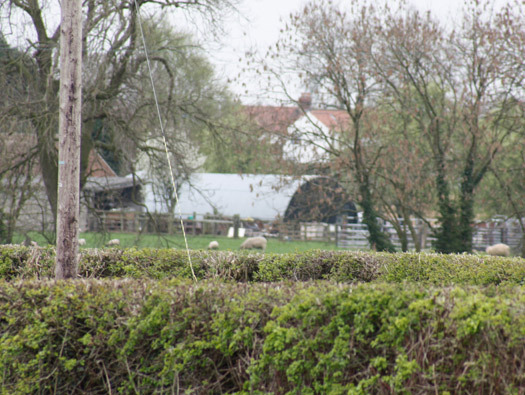 Picket Post in amongst the farm buildings. 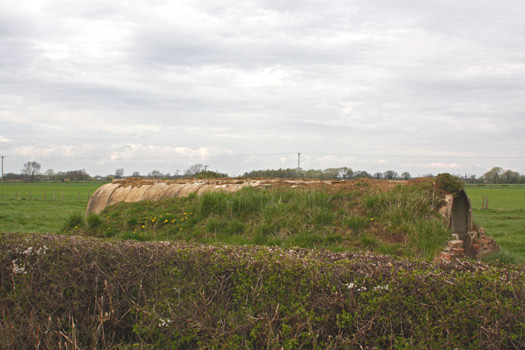 The picket post or small guard room for this site. 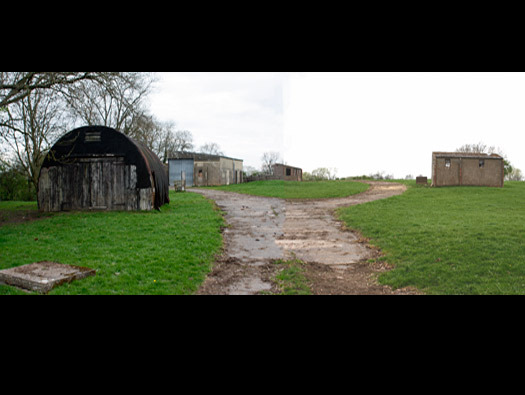 History - 1691 (Bomber) Gunnery Flight had been formed here early in July where it remained here until the end of the war - it became 1695 Bomber Defence Training Flight in February 1944 - providing support training for 6 Group. T2 hangar & technical site. 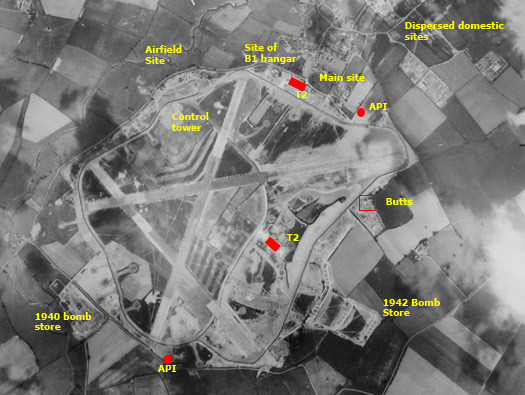 History - August 1945 and the airfield closed. We are now in the area of the white square. The red line is the route I took. The three white boxes are the hangars, one B1, two T2's. 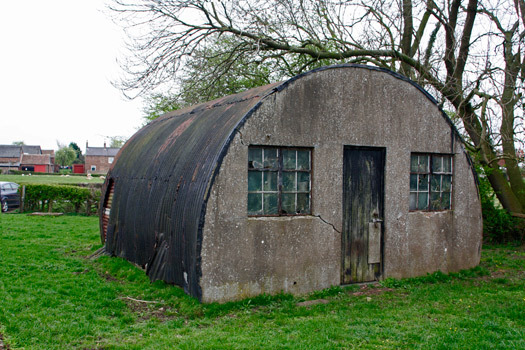 These huts could be used for Flight, Squadron, MT, Crew Locker & Drying offices, Armoury. 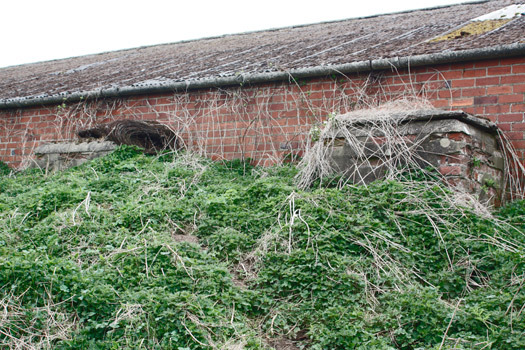 Green - temporary brick hut. 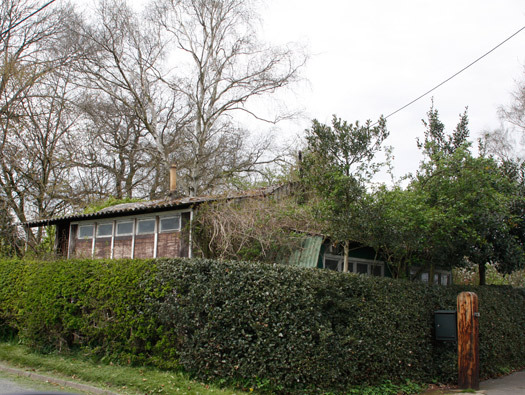 The hut behind the Nissen I have seen before but at the moment cannot identify it. 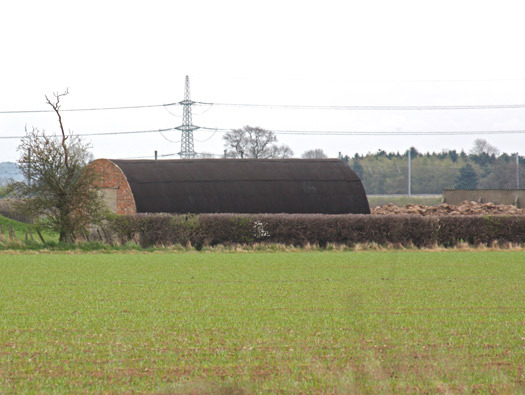 Also it is built on the perimeter track for the E/W runway with another Nissen hut? 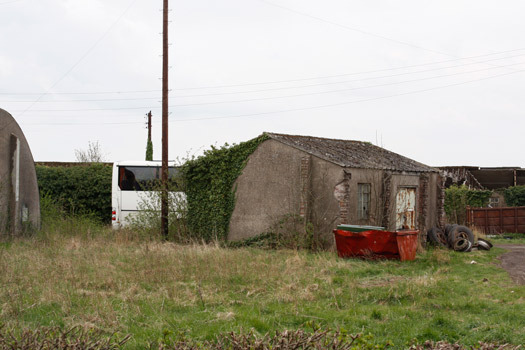 Another site I did no see when I visited shows lots of living accommodation huts. 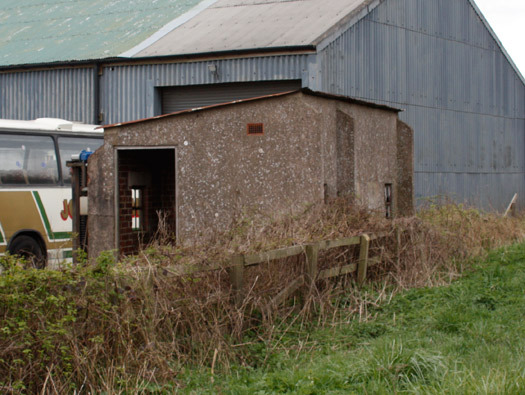 NFE Store & Floodlight Trailer & Tractor Shed. 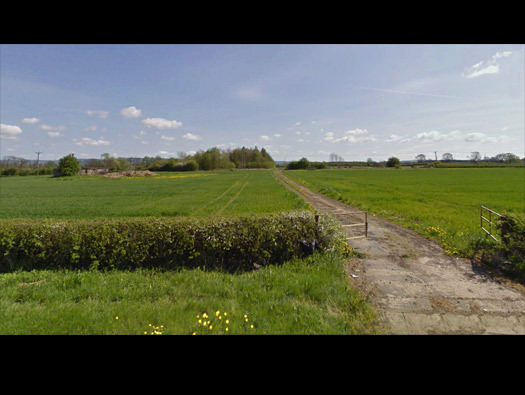 Now we are in the area of the Airfield site where the running of the airfield would take place. 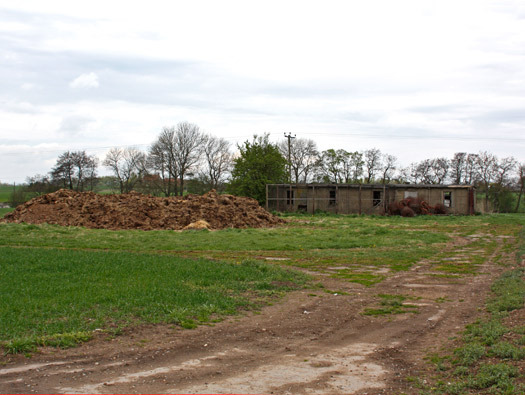 NFE Store & Floodlight Trailer & Tractor Shed were always sited next to the control tower now alas removed. A Goose Neck Flair doing its job..
Night flying aid a Goose Neck Flair stored in the NFE store. 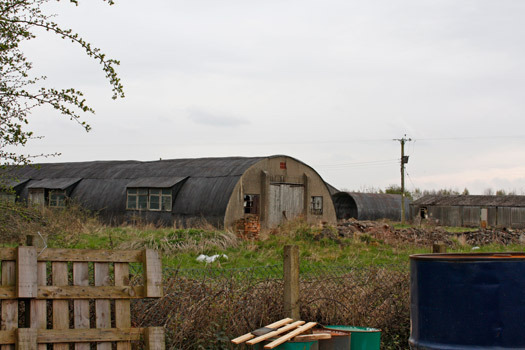 Buildings around the Airfield site near where the control tower was sighted..
Camouflaged shed and a flight hut behind. 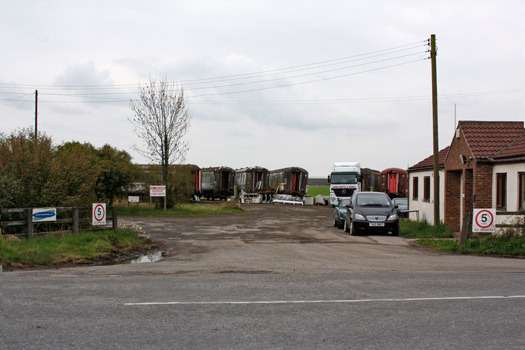 Yellow square - the control tower site with the NFE store & the floodlight trailer shed. Control tower sadly gone. Red square - main picture. Yellow arrows - the route taken. Red arrow - main gate. To provide vital electricity in an emergency. Plan of the standby set house. Power cables still attached to this building. 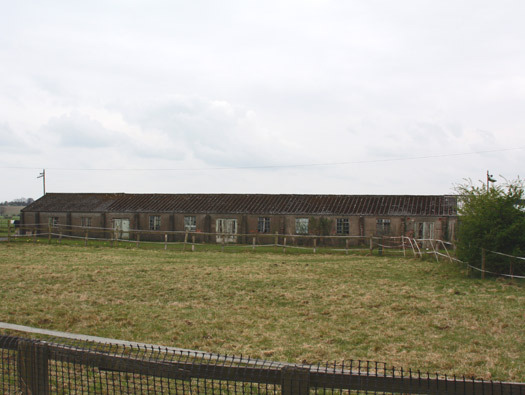 Romney huts were used for Main store, Main workshops, Turret training, and more. Guard post for the airfield site where everybody entering and leaving checked in. This could be an Instructional and Operations room. 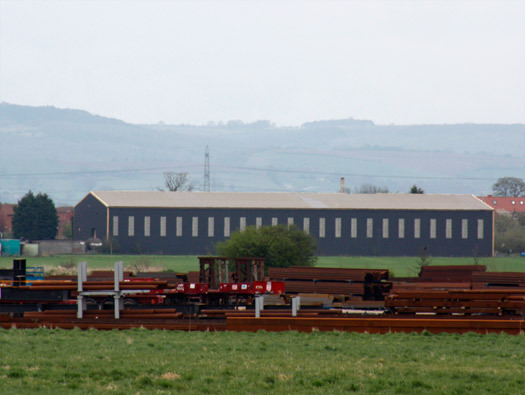 Marston sheds could be built and dismantled easily and also used for very many uses and one was often engine maintenance. 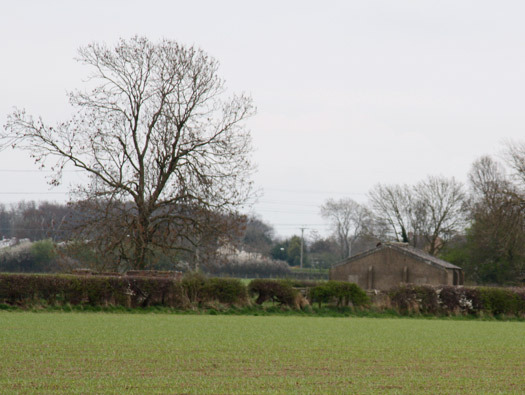 A couple of completely different huts. 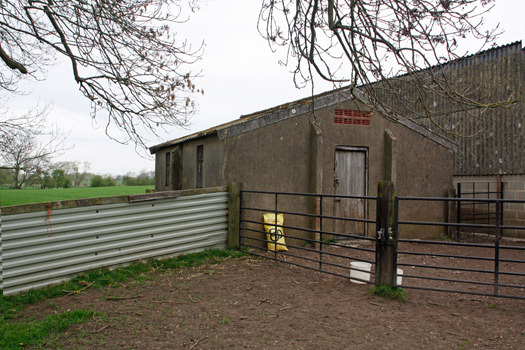 The large temporary brick hut, may be Guard Room and Fire Party and the other a Seco prefabricated hut using wood & asbestos. 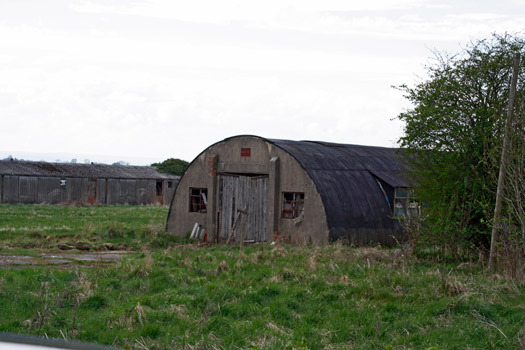 There look to be three flight along the front and very close to the perimeter track for access to the airfield and aircraft..
Another Nissen hut 24ft in the factory site. 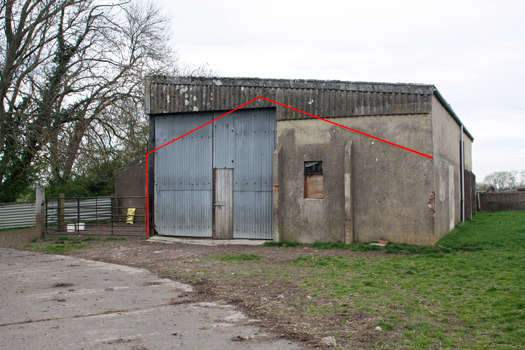 This is the early small bomb store dated around 1940/1. Incendiary Bomb Store & Piro Store 18185/40?. Yellow square - 1940 pattern bomb store. 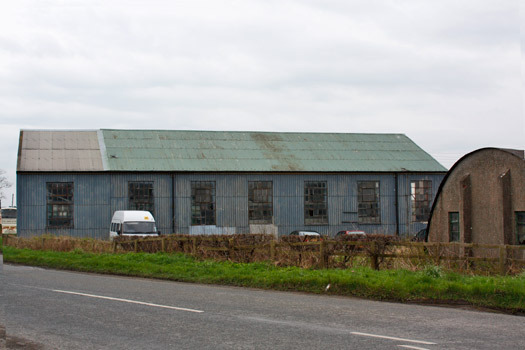 White square - 1942 pattern 'A' standard bomb store (now removed). Opposite the bomb store area is this little mound of earth with odd bits sticking out of it. 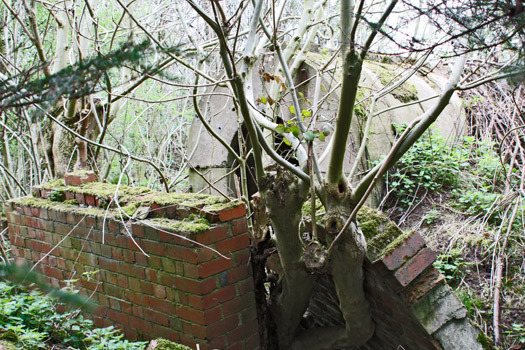 It ia a Royal Observer Corps Post. 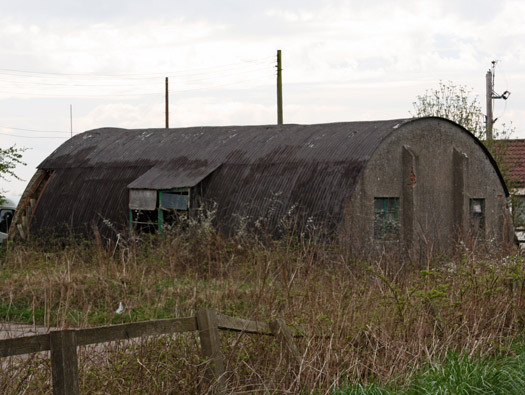 Built in the late 1950's early 60's and had one small room underground for three people.Â The ROC went from observing enemy aircraft above ground then underground to monitor the fall at nuclear bombs. Subterranean Britannica has a very good site on the subject. Plan of an ROC post. 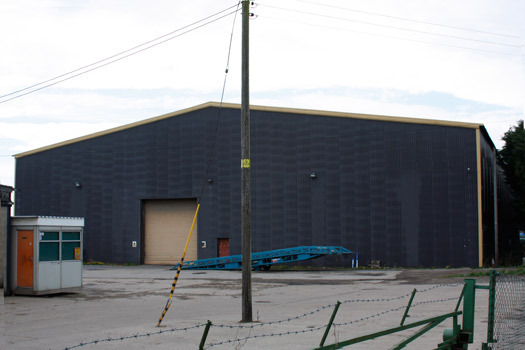 T2 hangar in the steel works. This is where I believe terminal 5 at Heathrow was built by the steel company. I have taken this directly from AIX and find it a great quote I am sure they won't mind me using it. "Reminds me of a comment in a book I read a while ago, regarding ex aircrew visiting their old base. 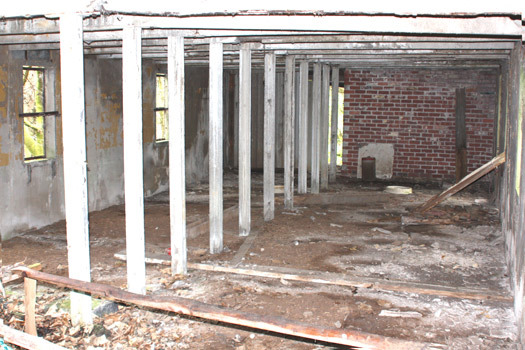 ... we managed to find the remains of the old communal site... the dilapidated officers' mess was full of pigs. Nothing changes !" Fuel pumps inside an AVI at another airfield. 1940's photo showing a mid war 'A' style of airfield.